I'm unable to update npm, and get it to use with Nodist. (node:5304) fs: re-evaluating native module sources is not supported. If you are using the graceful-fs module, please update it to a more recent version. However, if you noticed the last line in the message above, there is npm@3.10.6 which means it is somehow trying to install that version of npm. I also followed instructions from this post for Ubuntu users and this for Windows users, but they seem to address issues with standalone NodeJS installations and NOT NodeJS + Nodist combo. Meanwhile, I was wondering if Nodist itself enables us to update npm, or in other words, does it have any version management feature for npm as well, just as it does for node. 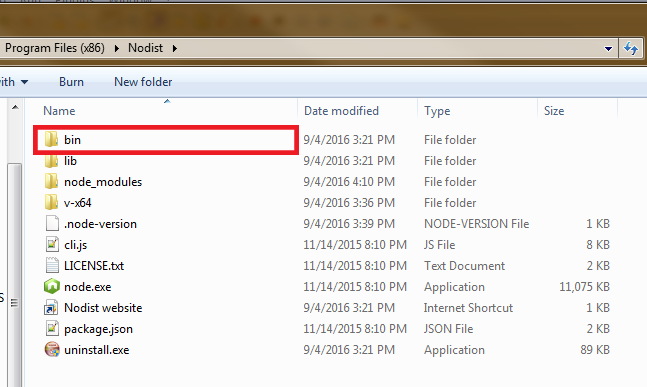 I am using Nodist v0.7.1 on Windows 7. Nodist manages npm versions as well as node versions. Turns out that Nodist versions prior to v0.7.2 have an issue with getting npm set with Nodist correctly (refer the Nodist changelog). Performing an npm install -g npm was in fact installing the latest version of npm under the v-x64 in Nodist's root installation folder - which is not where Nodist itself looks for npm installation. Add the bin folder's path to your PATH. (not with -g flag of course). Alternatively, if npm install doesn't work in this step, copy an already installed npm and paste it in the node_modules folder within the bin directory. Not the answer you're looking for? Browse other questions tagged node.js npm nodist or ask your own question.